Oh, Louis, how fond we are of your designs, they are all beautiful and popular, but there are five bags that stand out from the crowd of texture and pattern. These bags rank high amid the industries most sought after and prized collections. They are the cherry on top and for a good reason. Louis Vuitton is a recognized brand name the world over, from retail stores to online forums. This is the handbag everyone is talking about. Both past and current designs are highly valued for the history they possess and the hysteria they create. These bags are in every fashionista's closet, or on every woman’s wish list. 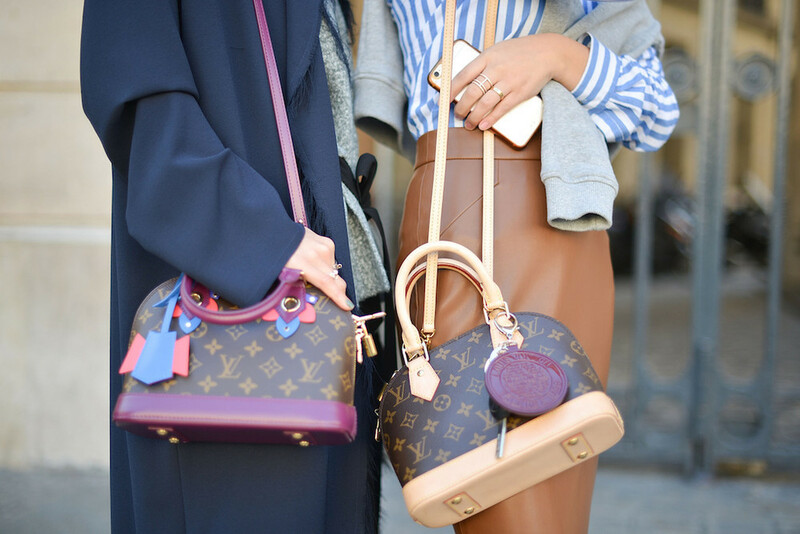 Perhaps even the world’s biggest and baddest handbag on the market, Louis Vuitton has captured the hearts and imagination of so many, making it an icon in the world of fashion and a must-have accessory. Louis also changed fashion, decade after decade, solidifying its place in handbag history and turning heads at every corner. The following bags are the five most popular Louis Vuitton bags in the collection, in no particular order. They range from classic to casual designs and represent either something similar or something different to everybody. They are more than just an accessory, they are a lifestyle. 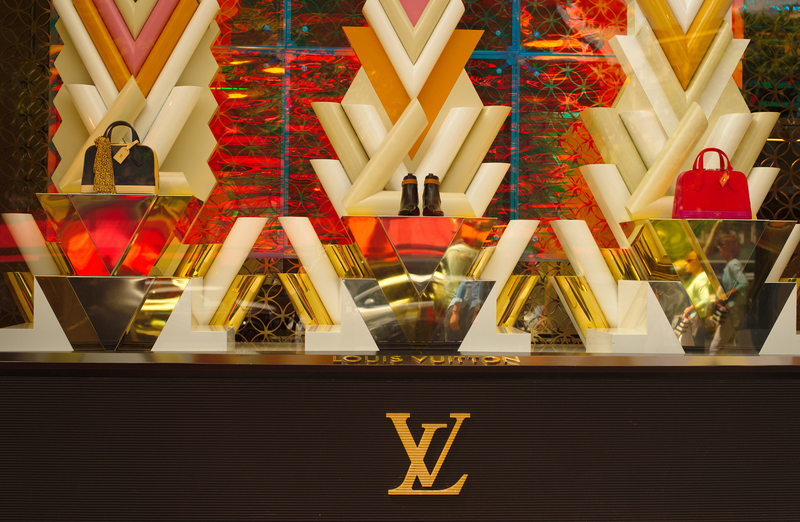 We welcome you to the #LouisLife. Louis Vuitton bags can be expensive, but given the history and quality, the price is often fair and justified. But for those who can’t or don’t want to pay the price of popular fashion, the Speedy bag is just right for you. It is the most inexpensive bag of the Louis family. 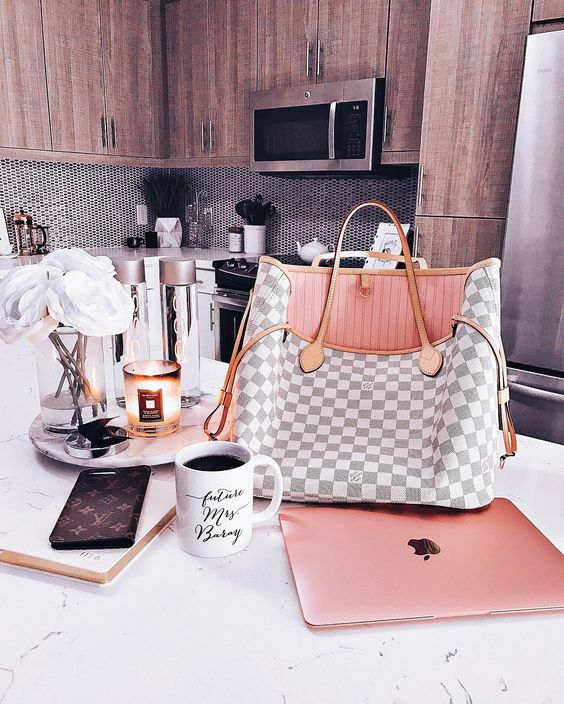 The affordable price has made this bag a popular favorite, as many Louis fans are able to own a Louis for the first time without making a major dent in their purse. This is a good Louis Vuitton starter bag for those entering the LV world. The Speedy has been around for almost a century and has grown in popularity since it became available to the public in the 1930s. 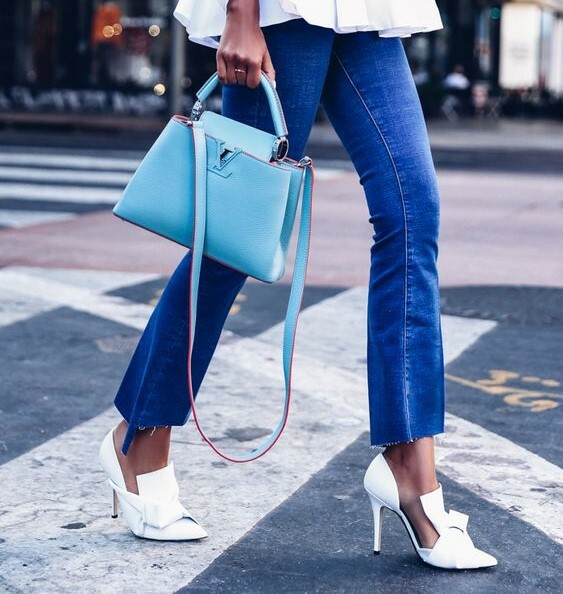 Back then, women used handbags as more of a utility item, but today they serve both as a utility item and as a fashion statement. Steeped in history and designed for the busy, independent woman, the Speedy has taken its place in the popularity contest and has come out a winner. Each Speedy bag comes with a number that represents the length of the bag in centimeters. The bag is available in four different sizes to suit your needs. There is the Speedy 25, Speedy 30, Speedy 35, and the Speedy 40. Back in the day, the original Speedy measured 30 centimeters long. This is the OG of the Louis Vuitton Speedy collection. Later, the 25 was introduced when actress Audrey Hepburn requested to have a smaller version of the bag tailor made for her. 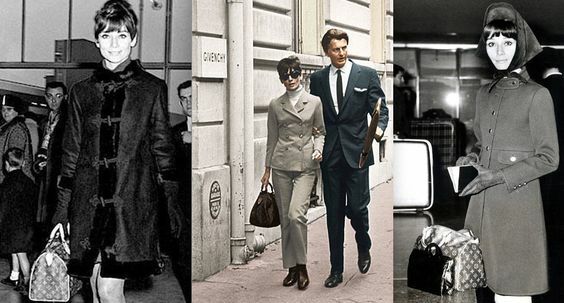 This provided Louis with an opportunity to design a bag based on user feedback and to sell many bags after Audrey was continuously photographed by the paparazzi sporting her small Louis Vuitton Speedy 25 almost everywhere she went. Audrey loved it because of its classic style and proper proportion, and we love it because of its size and versatility. The Speedy can be worn with just about anything, from a formal night out to casual jeans and t-shirt to pajamas. The Speedy is a unique piece among the elite of Louis handbags. Since its release, the Speedy masterpiece has become a timeless design and a hit with handbag enthusiasts. The bags appeal comes from its simple style that makes it appropriate for almost every occasion and every season. This is made possible because the bag is available in three basic colors, but the monogram canvas remains the most popular by far. A less popular version of the bag is the Speedy Bandoulière, which features a long detachable handle. With all the sizes and color designs, you’re sure to find a combination that fits your personal style and lifestyle. This bag also dates back almost a century, to the year 1932, making this bag the oldest of the Louis Vuitton collection. It has its origins in everyone’s favorite Sunday brunch bubbly, Champagne. As the story goes, a well-known Champagne producer requested from Louis a bag that could hold five bottles of his very best Champaign. Specifically, the bag had to be able to transport four bottles standing upright, and one bottle in the middle facing upside down. That was the original purpose of the Noé, but today it serves as a utility bag with style. The Noé is available in two different sizes, the Noé and the Petit Noé. It was designed to empower woman and help make them feel more comfortable in the early 20st century. The bag was a success and set the stage for the house’s future bag ideas. Louis always catered to the fashion industry and clientele, designing bags with passion and purpose. This is definitely a Champagne brunch handbag. The Louis Vuitton Alma bag has a reputation among aficionados, it is recognized as one of the collections most symbolic handbags. It is a colorful and charming bag with its roots in the 19th century but first appeared in the year 1930. A well-structured bag that comes in more than the three basic colors, it marked a colorful turning point for Louis as the design evolved over time and featured all the colors of the rainbow. The texture of the bag is also unique and uses a variety of materials. It is chiefly made of Epi Leather that is tanned solely with plant extracts and then dyed, but also comes in Damier and the classic, glossy Monogram Vernis. You can get one in every size ranging from BB to XXL, with the smallest size having a long detachable handle to make it easy to hold. Whichever material or color you choose, this bag will surely impress. The Alma has a rich ancestry and stunning curb appeal, a hip bag right for every era and every season. A timeless work of art and an icon among the Louis Vuitton collection. This bag will have you feeling young and vibrant, confident to strut across the catwalk or your living room. Make your statement with this perfect bag and wear a piece of Louis history. Alma means ‘soul’ and this bag has got a closet full of it. Besides being fun to say, this bag is a dream for those who want to carry their closet with them. The Neverfull is big and spacious, capable of fitting a lot of everything fashion you use and love. You can stuff and stuff and it seems to never get full. 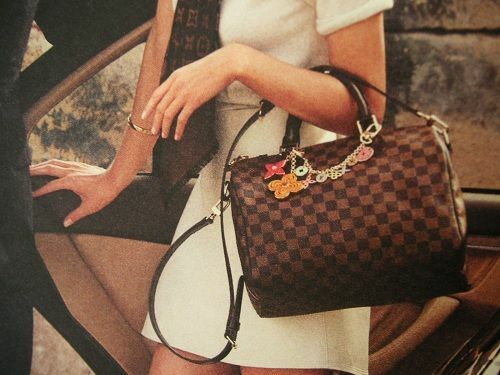 Because of this feature, the bag is one of the most popular of the Louis Vuitton handbags ever. The Neverfull is a tote bag that is available in both leather and canvas, including the classic monogram canvas, and also in Damier Ebene and Damier Azur. The bag comes in three different sizes: PM, MM, and GM. While each size basically represents Small, Medium, and Large, each bag is big in its own right and almost never feels full. It is roomy, but not bulky and can be worn with almost everything or almost nothing. More recently, Louis improved upon the bag by adding a detachable clutch to the bag to make it even more iconic and popular than before. They also give you the option of different interior colors, other than the classic beige, that were not available before, making this another colorful bag with a function to go with it - the luxury sports utility vehicle of handbags. The Neverfull is a fully functional handbag that can solve many of your space problems. It is sure to help you carry your life with you wherever you go. You can even replace a small carry on luggage bag with this handbag, as it will carry all your essentials and fit under the seat in front of you while still looking your chicest. A modern bag steeped in history, the Capucines is a classic Louis bag with a classic name. The name is derived from the street where Louis Vuitton opened his very first store, on the Rue des Capucines a street opened in the year 1700 to facilitate the citizens and inhabitants of the district as a walk and convenience to getting around town. The bag itself was created in 2013 specifically designed to cater to the more sophisticated, high-end clientele. The bag was intended to focus on increasing the leather bag business together with the ever-popular canvas bags. The Capucines is a beautiful and minimalist iconic handbag, drawing on inspiration from the past for modern day function with its structured silhouette, metallic monogram clasp, and a rigid handle to help sturdy the bag in motion. This is the “adult” bag of the collection, it is stylish yet modest, only true LV fans can point one out in the crowd. The price is on the high end of luxury handbags, it is worn by expensive people, but anyone can own a Capucines. The bag is available in two sizes plus a wide range of smooth and exotic leather materials. Unfortunately, this bag is not available in the signature monogram pattern. Recently, Louis released a few different limited-editions versions of this bag, including a wildflower print from the Spring 2015 runway show. The bag was a smash hit at the fashion show and an equally smash hit among Louis enthusiasts. There you have it, the five most popular Louis Vuitton handbags in existence. Discover your favorite and find an excuse to bring one home with you.